Crafty Queen Blog: Happy Halloween! I JUST LOVE THIS LITTLE SET OF HALLOWEEN LIGHTS... purchased last year...they are so cute! Little grandson screams with delight when I switch them on. 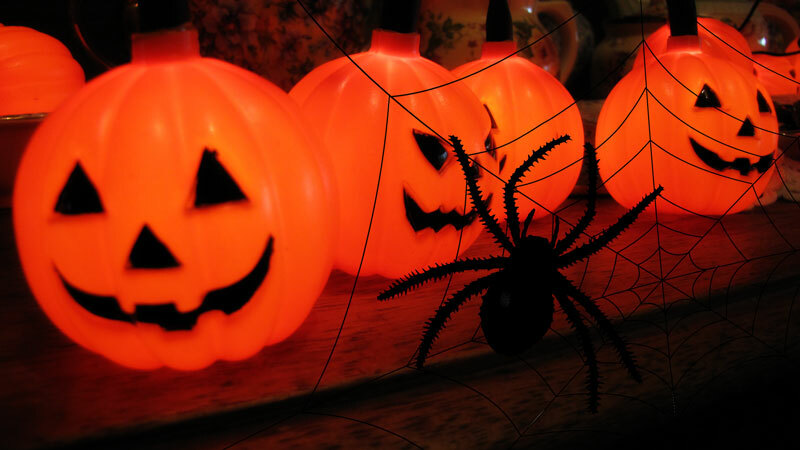 The "spooooky punkins" have an amazing orange glow, no wonder the little darling is fascinated. I was so tempted to buy a real carving pumpkin today as they had been marked down to clear at the local supermarket... but wasn't sure if you could eat them as well as just spook with them! Anyone know? I must find out for next year. IF YOUR ARE WONDERING WHAT THIS IS... well the plan was to have a little Halloween Digi Kit ready weeks ago. Yes, I have been dabbling in digital design for some years now and am proud to say that I recently received accreditation as Digital Designer after completing an intensive course with the amazing Jessica Sprague. Regrettably I only managed to finish the alpha which I used for the Halloween projects earlier this week. It has been such fun ... I must admit I became carried away with the art and forgot about the end product I was supposed to be putting together. I have a fun ANNOUNCEMENT to share with you tomorrow. And lastly and very importantly...HAPPY BIRTHDAY JENNY! I'll be back to post some credits here tomorrow. Love this spooky alpha! Your new blog looks great. Those letters are stinkin' AWESOME! I want them! Hi, Are those gorgeous Halloween letter available anywhere?